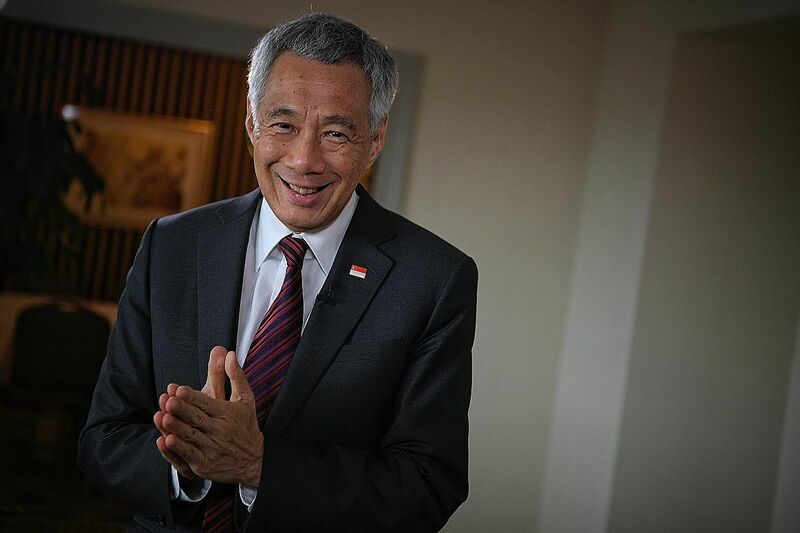 This is the text of the New Year message from Prime Minister Lee Hsien Loong. 2018 was a productive year for Singapore. Our economy grew steadily at 3.3 per cent - close to 2017, and above our expectations. We expect to make 1.5-3.5 per cent growth in 2019, but there are major uncertainties in the global economy, with growing trade conflicts, nervous financial markets and signs of slowing growth. On the external front, 2018 was eventful. Our diplomats and officials have been busy flying our flag, playing our part on the international stage. In June, we hosted the historic summit between United States President Donald Trump and Democratic People's Republic of Korea Chairman Kim Jong Un. In 2018, Singapore was also the Asean Chair. Under our chairmanship themes of "Innovation and Resilience", we launched practical initiatives to enhance regional stability and integration. We strengthened cyber-security collaboration, and formed an Asean Smart Cities Network to create a new platform for cooperation with our partners. When Malaysia wanted to defer the High Speed Rail project, Singapore worked with them to accommodate their needs. The new disputes on maritime boundaries, following provocative intrusions into our territorial waters, and on airspace, particularly the Instrument Landing System rules for Seletar Airport, are more difficult to resolve. Malaysia also wants to revise the price of Johor water, an old issue recently revived, on which Singapore's stand is quite clear. We will deal with all these matters calmly and constructively. Singapore and Malaysia must manage specific problems, however difficult, while preserving the overall relationship. The way to do so is through equality and mutual respect, upholding international commitments and the rule of law. Older Singaporeans will remember that this is how we dealt with previous rough patches in bilateral relations. Each time we would unite as one people, and stand our ground calmly but firmly. I am confident that this time, too, Singaporeans will work closely together to keep relations with Malaysia stable, and a new generation will learn how to collectively protect our vital interests while living in peace and friendship with our neighbours. Domestically, we are making progress. In many countries, societies are under stress. People are angry and frustrated that wages are stagnating, lives are not improving, and political systems are malfunctioning. The gilets jaunes ("yellow vests") protests in France are just the most recent manifestation of this angst. Similar veins of unhappiness have erupted elsewhere, be it Brexit in the United Kingdom, or the drastic loss of support for moderate political leaders in the US and in Germany. Being a highly open society, Singapore is exposed to similar pressures. But we have coped better than most other countries, because we have worked closely together to improve the lives of all Singaporeans. The economy has grown, unemployment remains low, and incomes have risen across the board. We have created good jobs, and prepared people for them through education and SkillsFuture. The Kampung Admiralty project was recently named the 2018 World Building of the Year at the World Architecture Festival. Crucially, the Government is focused on people's concerns, and working with citizens to create a better tomorrow for all. We are improving healthcare and education, housing and public transport. We are keeping quality healthcare affordable and accessible, and building more polyclinics and hospitals islandwide. The latest - Sengkang General and Community Hospitals - started taking patients in August. Upcoming improvements to the Community Health Assist Scheme and CareShield Life will enhance support to those with chronic conditions and disabilities. And the Merdeka Generation born in the 1950s can look forward to receiving their healthcare benefits package soon, just like the Pioneer Generation before them. Our education system is already internationally admired, but we will improve it further to help students identify and nurture their strengths and talents. We are reducing the focus on examinations and academic grades, and emphasising holistic development. We are investing heavily in pre-schools, raising the quality of teachers through the new National Institute of Early Childhood Development, and building more pre-school centres to give our young a good start in life. We have also increased pre-school subsidies to lighten the burden on parents bringing up young children. Physically, we are rebuilding our housing and infrastructure for the next 50 years. HDB is working on programmes - expanded HIP, HIP II and Vers - to upgrade and renew HDB flats and housing estates. This will ensure that HDB flats continue to be quality homes and a good store of value for retirement. Singaporeans can look forward to living in vibrant and warm neighbourhoods, with a good mix of old and young residents and a strong community spirit. 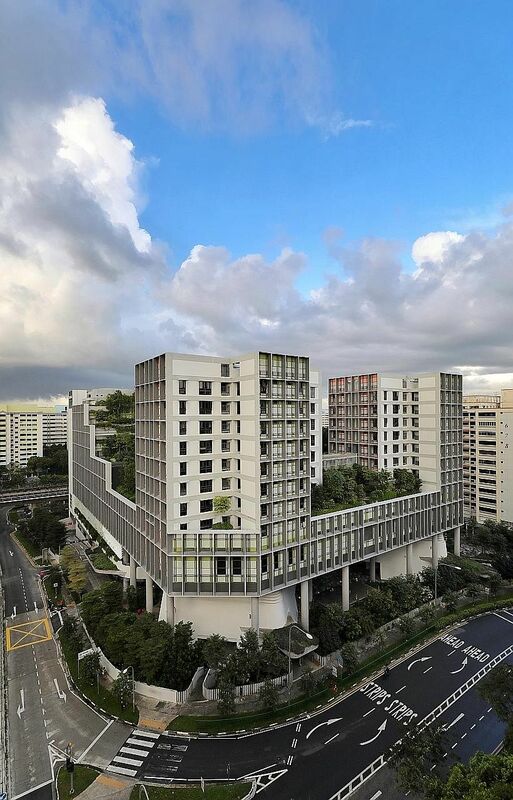 One such project - Kampung Admiralty - was recently named the 2018 World Building of the Year at the World Architecture Festival, a high accolade. Our hard work on the public transport system is paying off. Bus and train services are less crowded and more reliable. New trains for the Thomson-East Coast MRT Line have been delivered, in time for the opening of TEL Stage 1 in Woodlands in 2019. We are holding public consultations for our long-term land transport master plan for 2040. Meanwhile, work on the Tuas MegaPort and Changi Airport Terminal 5 continues apace; and the Jewel will open in 2019 for all to enjoy. In 2018, we made significant headway in leadership succession. Parliament reopened in May after a Cabinet reshuffle. The younger political office holders are being exposed to different responsibilities, and are working together as a team. They have settled on Heng Swee Keat as their leader, and supported Swee Keat's choice of Chan Chun Sing to be his deputy. Singaporeans have a vital part to play in this succession. I ask you to work with the younger political leaders, to form the best team for Singapore. Our model of governance is quite exceptional, and has served us well. It has enabled Singapore to make the most of what we have and stand out in a highly competitive world. Singapore politics cannot afford to be riven and destabilised by the rivalries, contestations and factions so often seen elsewhere. Instead Singaporeans must stay united, and work together resolutely to strengthen and renew our social compact. With long-term policies in place and a strong team in charge, we have reason to be confident about our future. Despite the uncertain external environment and economic outlook, we are entering our Bicentennial Year with renewed vigour and purpose. We are ready to tackle the challenges ahead and make further progress in building a secure, harmonious and prosperous nation.